Evolution GT, Evolution F1 and the Evolution II. At first glance our simulators look like any other; take a step closer and you begin to see an unparalleled level of detail and technological innovation never seen before in the world of motor racing simulation. 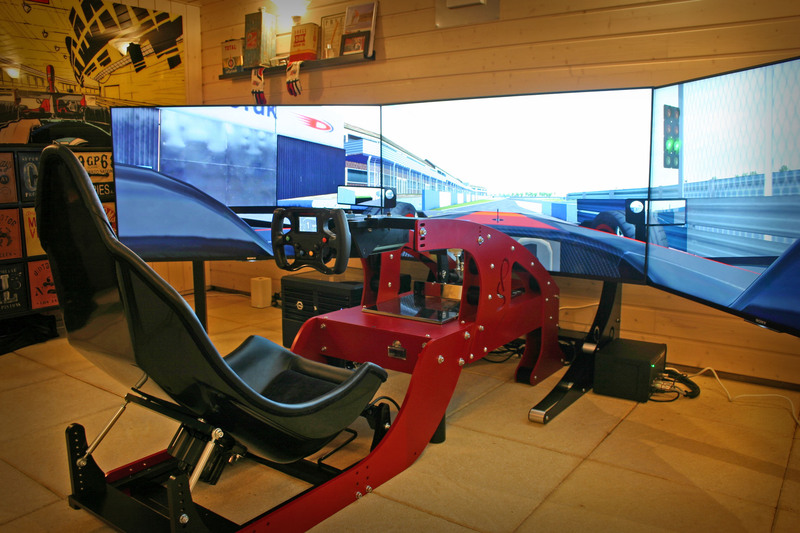 We set out to make a range of simulators that would offer the same level of quality as our main training simulator but on a smaller scale and in the most cost effective way possible. 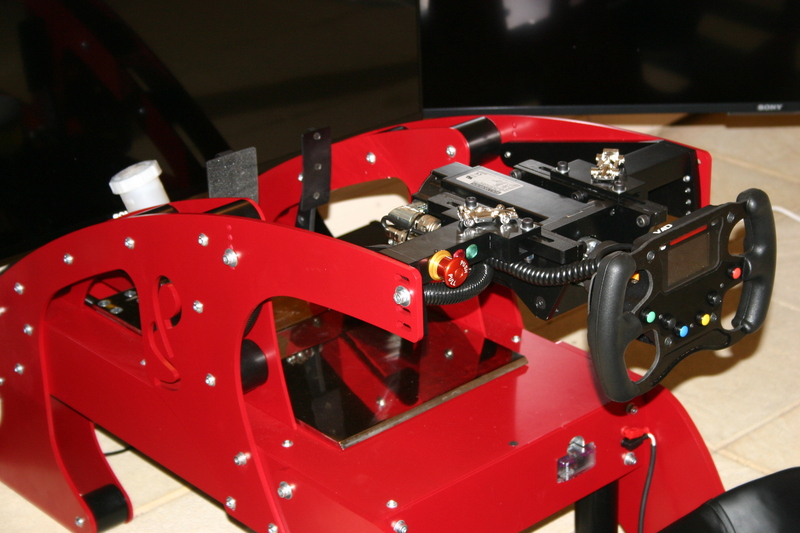 We achieved this by keeping the same steering system and an improved pedal box that remains electronically adjustable. 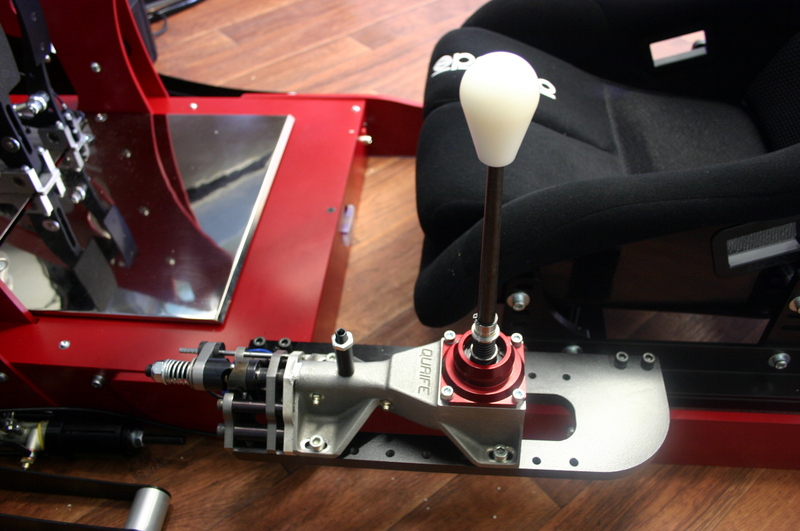 These existing components were then mounted to our specially designed frame that includes so much adjust ability that practically anyone can find their perfect driving position and pedal layout. The frame is designed and CNC manufactured in house using the best quality materials and finishes available to ISO 9001 standards. The Evolution GT has a driving position that accurately represents a wide range of GT cars. The driving position is completely adjustable and we fit a race specification Sparco bucket seat as standard. 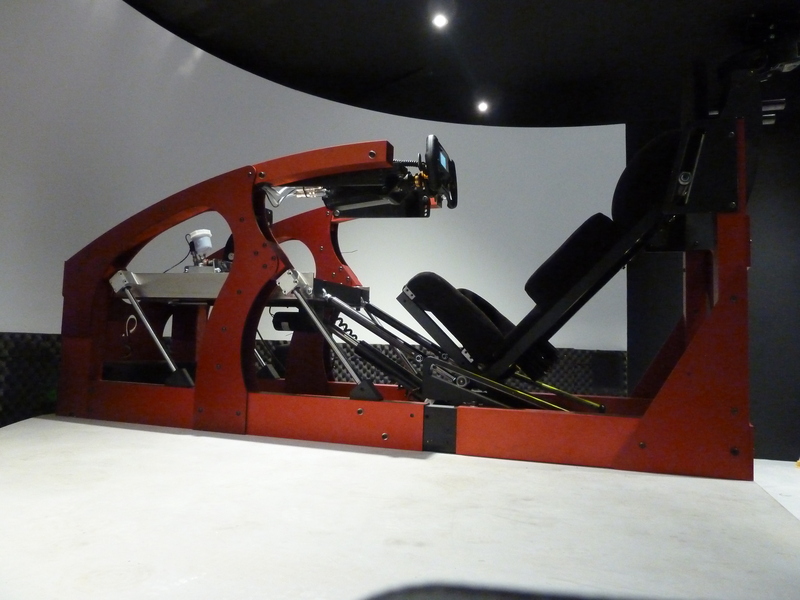 We are also able to integrate your own seat into the simulator so that you get the exact same feeling on track and on the simulator. The Evolution F1 has a driving position that accurately represents a wide range of single seater cars. As well as the standard adjustments on the frame the seat is also adjustable up and down to change the drop from the pedal box to the base of seat, this is important as modern day F1 cars have a large drop but in the junior formulas this drop can be very small. We also have designed our own seat for comfort with low sides as with a normal seat in this position it is common for your elbows to hit the seat and this is very uncomfortable. The Evolution II is the top of the range Evolution simulator. 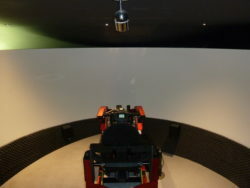 It allows the seating position to be adjustable between GT and F1 making this the most versatile simulator on the market. The dimensions of the seating position match exactly to the Evolution GT and Evolution F1 in their respective positions and anything in between. The seating position is adjusted electronically via linear actuators on the seat and pedals and even with all this adjustment the simulator only takes up an extra 200mm of space in length and has the exact same width. When the seat position changes it will change angle but also height which is critical to ensure the horizon on the simulator stays in the same place to ensure the driving experience is not compromised. Hand Built by Experts. 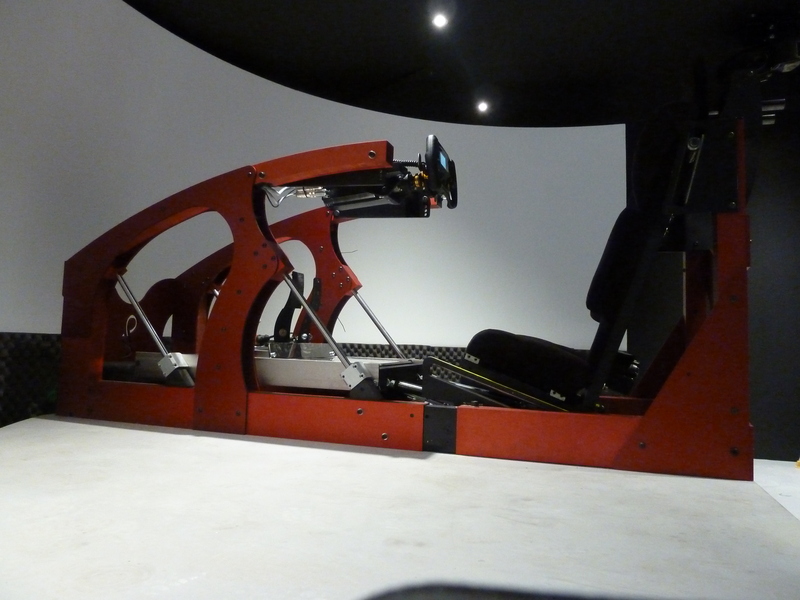 Each of our Pro-Sim simulators is hand built by Quaife Engineering in Kent, UK. 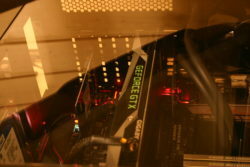 Each display option has been carefully chosen to provide minimum input lag and minimum motion blur. 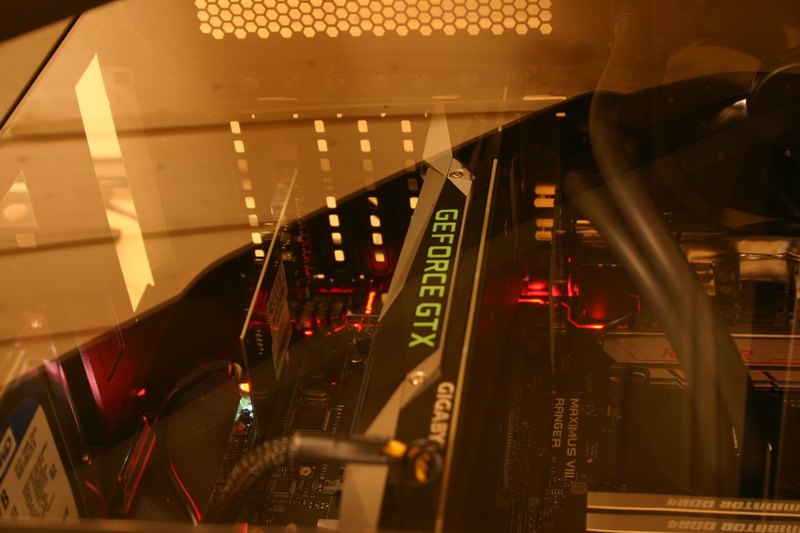 All 42”- 65” screens includes our custom folding mounting frame. The look, the feel, the sensation. Combine real motor sport hand and foot controls with precision made components designed to the finest level of detail by employing real world experience and you achieve the epitome of what a true to life race car driving experience should be like. It is our belief that the parts of the motor car you physically come into contact with are the most important areas to reproduce as accurately as possible on the simulator. We use real motor sport components where needed to provide the most accurate representation of real world driving available. Each Evolution Simulator is supplied with the exact same high level of steering and pedal controls developed for the Pro-Sim driver training simulator to achieve the highest level of driving realism to maximise your training potential. Having been involved in establishing what is known as the industry standard in high performance steering force feedback systems gives us unique access to reproducing near 1:1 simulated steering feedback with the real world. The high precision servo motor we use to create the high steering torque has been specified to match the weight of our system for the perfect inertia balance and thus the perfect driving feel as we intended. Over 2 million points of resolution per wheel turn are fed back to the control electronics for processing resulting in an unbelievable amount of detail felt through the wheel. The steering feedback you receive provides the same feelings as you would expect in real life for whichever car you are driving as all the car models within our software have been backed up with real life steering torque data to ensure accuracy. Apart from the seat the steering wheel is the only item in the cockpit you are (or should be!) constantly in contact with and have in your vision at all times. It’s one of the most important items in the car and therefore one we consider to be one of the most important to be right in the simulator. 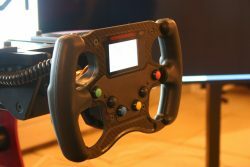 Having built a rapport over the past few years with the steering wheel manufacturer and supplier to many series including GP2 and Formula Renault we are in a unique position to be able to supply real life XAP steering wheels for simulation use. Using real steering wheel hardware not only provides the exact visual and physical connection whilst driving, it also offers the same level of high durability required to last a few full seasons of racing in a harsh environment. High durability grips, carbon fibre and precision made aluminium components fitted with magnetic sensor gear and clutch paddles are some of the features that make the XAP wheels very reliable for many years of service. We also use other GT wheels from manufacturers including Sparco, Momo and AIM. In terms of importance of being correct, the pedals are on par with the steering and in particular the brake. 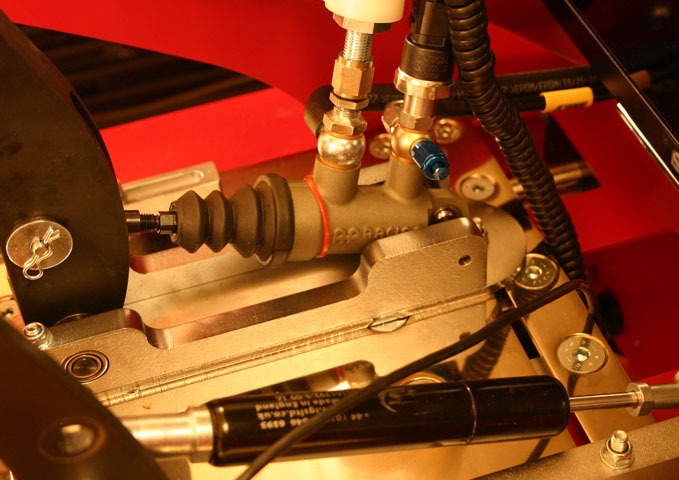 We have spent a considerable amount of time analysing, developing and testing our hydraulic braking system and adjustable gas spring throttle and believe we now have the most accurate and adjustable pedal system available anywhere. 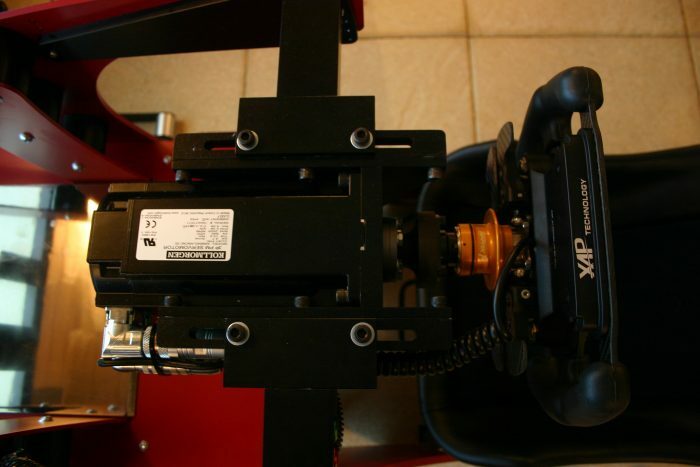 An accurate brake pedal feel is one of the most important areas of a simulator where a driver can improve and take the advantage to the track with them. 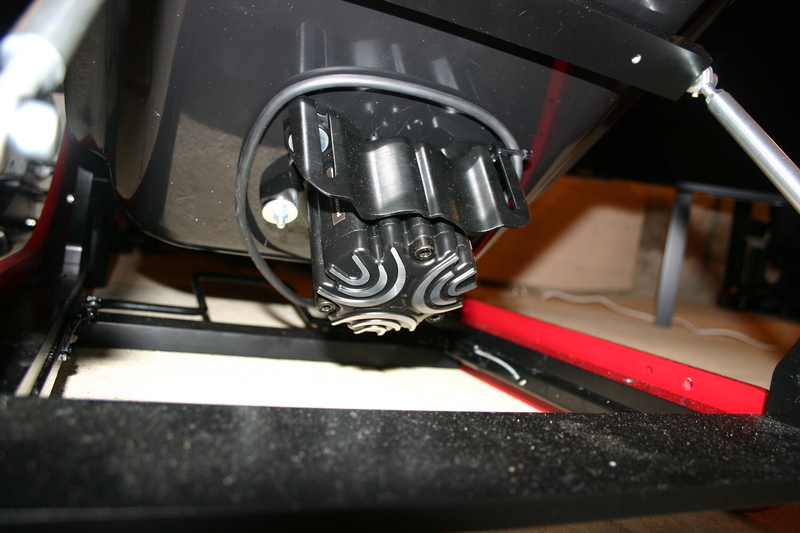 The brake pedal is able to withstand over 200kg of force with absolutely no bending or flexing whilst remaining electronically adjustable via the push of a button to move the pedals forward and back running on high quality linear bearings. 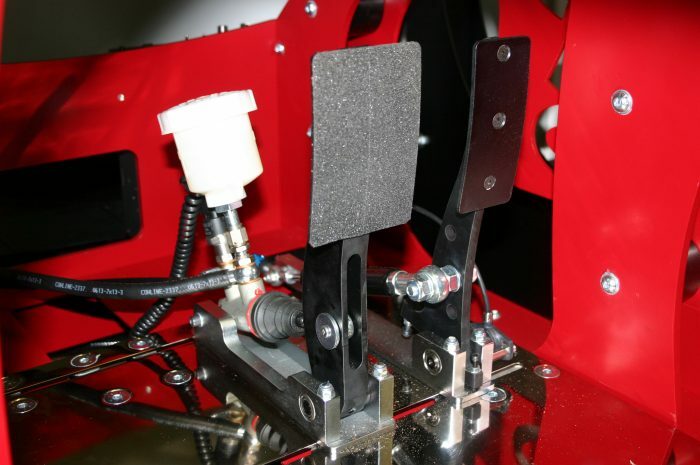 The entire pedal box has a total travel of 300mm to ensure that anyone can find the perfect position quickly. The pedals are completely independent and you can set the spacing between the pedals for the required configuration for your current car and all future cars. The pedals are also modular so you can add or take away pedals easily and quickly. The main plate for the pedals is machine polished and then hard chromed so it is scratch resistant and will continue to look stunning in the future. 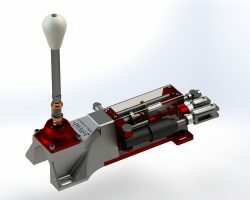 The hydraulic system consists of AP brake master cylinders and our own simulated brake calliper. The calliper offers hundreds of different configurations to achieve the brake feel required for your needs. Brake pad knock off or free travel can also be created by adjusting a nut on top of the caliper system. All of our gear shifters have been developed in conjunction with Quaife Engineering. Established in 1965, RT Quaife Engineering LTD have a rich heritage providing engineering solutions for over 50 years and are best known for their market leading sequential gearboxes and Automatic Torque Biasing differentials in the motor sport world. With the expertise of the Quaife engineers our simulator gear shifters replicate the exact feeling from a motor sport gearbox using real components in a very compact design creating a convenient way to attach them our frames without using a full size gearbox. H-pattern and sequential gear shifters are available allowing for a wide range of vehicle gearbox types. The frame is designed and CNC manufactured in house using the best quality materials and finishings available to ISO 9001 standards. By keeping the manufacturing in house we are also able to offer a lifetime warranty on all machined parts for our entire range of simulators. 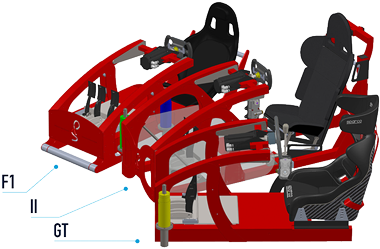 Despite the huge range of adjust-ability the frames have a completely solid construction and each simulator frame weighs in excess of 120KG alone. There is zero flex in the frame which is essential with the true to life forces created by our steering system, pedals and gear shifters recreating the feeling of a full sized vehicle whilst offering unrivalled durability and stability. The frames are wide enough so that you can brake with whatever foot in any position and the main advancement we have made is that the steering motor is held from the side above the centre line of the steering shaft. This means your knees are free to come as high as you like without touching the frame and you can move your feet from side to side without obstruction. The entire steering system is also pivoted behind the back edge of the motor so that if you adjust the steering wheel height down the back of the motor will not sit higher than the steering rim and obstruct your driving view. The steering wheel is also easy to adjust the reach both forwards and backwards. Even with all this adjustment the design is extremely robust and you will not experience any flex or movement whilst driving no matter how enthusiastic you get! 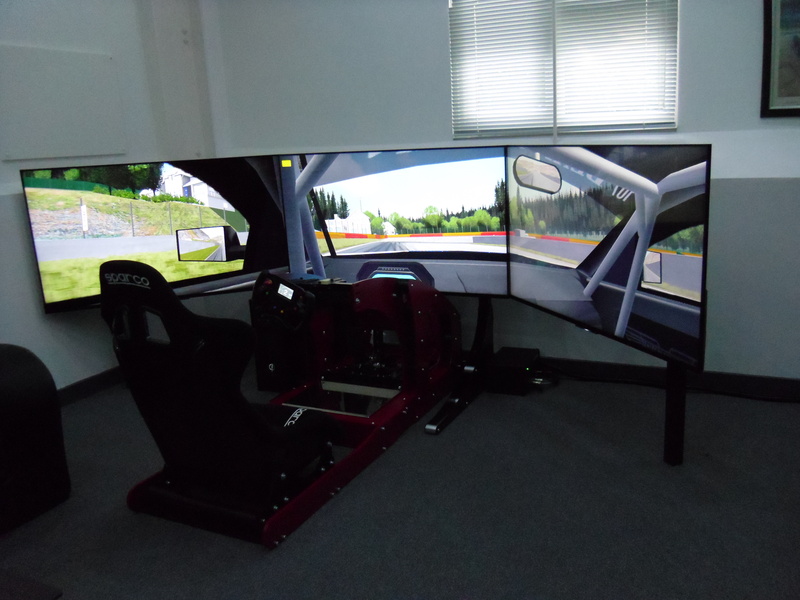 As well as our simulator being able to work with all popular simulation software we can also offer custom software with them and that has been developed over the course of years to create the best car models on the market at the moment. All of the cars have accurately modelled suspension geometry, tyres, power curves, setups, dampers, gear ratios etc. 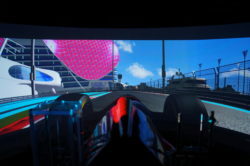 The cars have been tested so that they all react exactly the same as in real life and are adjusted in the same way; this is the best way to use a simulator as it opens up a complete new level of simulator preparation previously reserved for a select few. 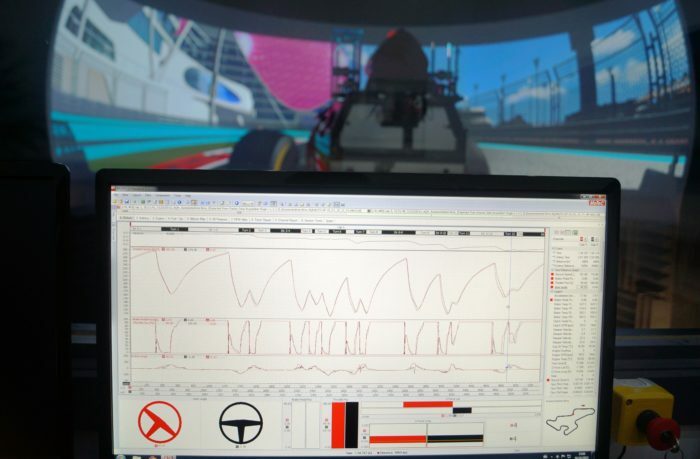 Our simulator is used every day by top professional teams from Formula 4 up to GP2 where the accuracy is such that they will compare our simulator data against real data to coach their drivers. 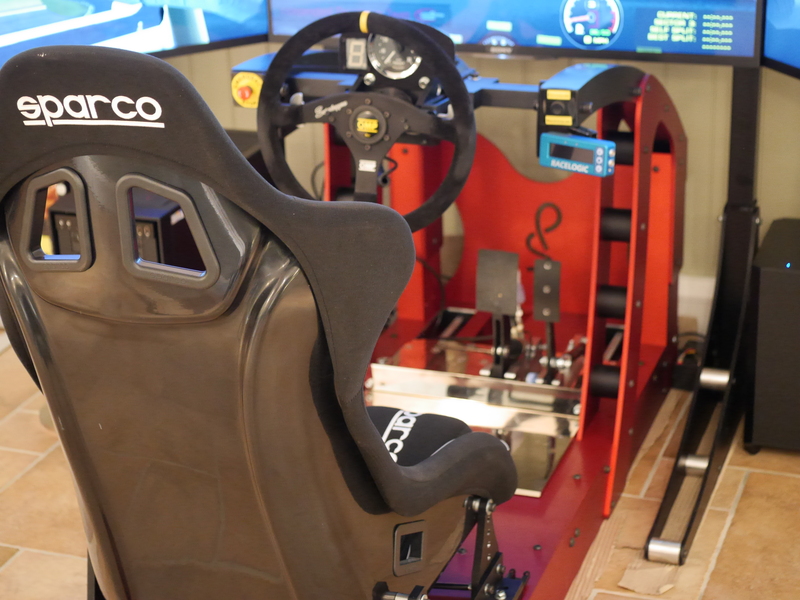 We have personally developed the cars completely in house and are only available when you purchase a simulator off of us so you know you will have something truly unique and exclusive. We also have a remote coaching service that is available with our software; we can provide you with data created by a professional driver, we are also able to provide you with a full report on your driving and what you need to do to improve and most importantly how, so effectively you can have professional coaching from the comfort of your own home.